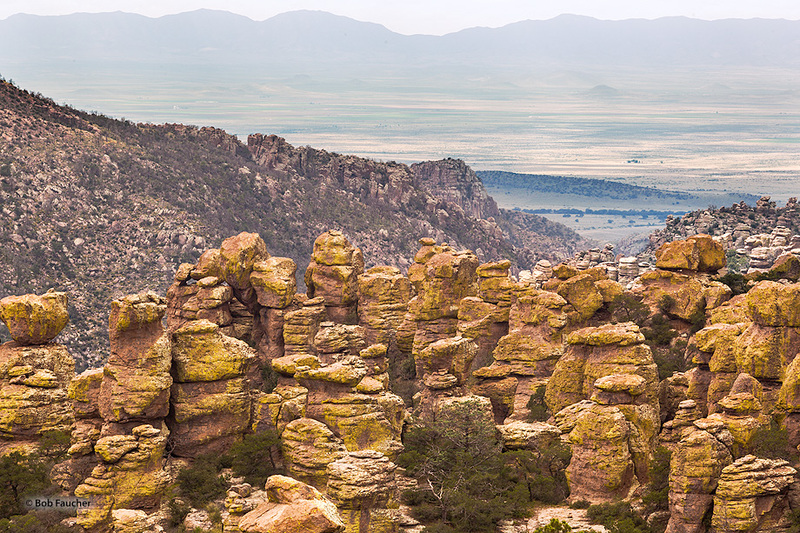 The Sulphur Springs Valley is the large flatland to the west of the Chiricahua Massive. From north to south at the west of the valley are the Little Dragoon Mountains, the Dragoons, and the Mule Mountains. Photo © copyright by Robert Faucher.